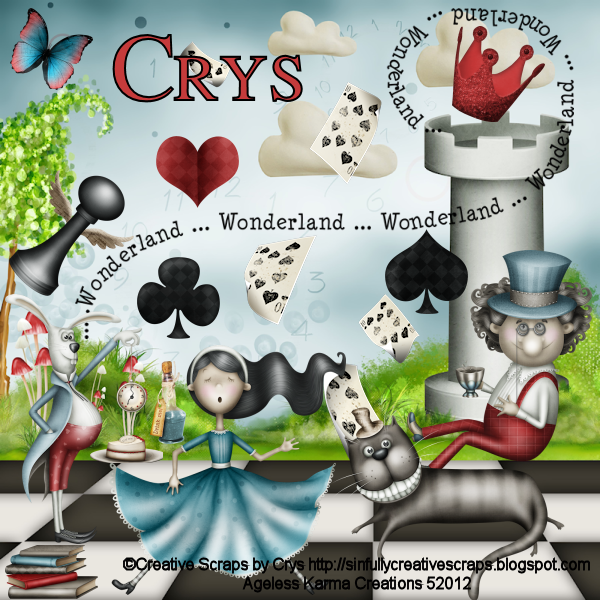 I am using the work of Creative Scraps by Crys. The PTU kit is called A Mad Tea Party. Please use my tag as reference as to where to place elements. Let's start off by opening a 600 x 600 transparent canvas. C/P AMTP_Paper_13 & resize to 75%. C/P AMTP_Element_20 & resize to 40%. C/P AMTP_Element_12 & resize to 80%. C/P AMTP_Element_8 & resize to 30%. C/P AMTP_Element_21 & resize to 40%. C/P AMTP_Element_7 & resize to 20%. C/P AMTP_Element_4 & resize to 20%. C/P AMTP_Element_1 & resize to 20%. C/P AMTP_Element_6 & resize to 20%. C/P AMTP_Element_5 & resize to 20%. C/P AMTP_Element_27 & resize to 20%. C/P AMTP_Element_65 & resize to 20%. C/P AMTP_Element_3 & resize to 20%. C/P AMTP_Element_62 & resize to 20%. C/P AMTP_Element_19 & resize to 20%. I would love to see your results. Please send them to agelesskarmacreations@yahoo.com. I am using the PTU kit called AM_Lovely by AmyMarie. You can get it here. I am using the art work of Misticheskaya. The tube is called Carmen. You can get it at PFD here. Please use my tag as a reference as to where to place elements. C/P framedoodle2 & resize to 60%. Using your Magic Wand, click inside framedoodle2. C/P Carmen tube inside frame & position to your liking. Selections, Invert, Delete on keyboard. C/P b4 & place below sparkle layer. Please don't forget your Watermark & the Artist Copyright. I would love to see your results of this tutorial. Please email them to agelesskarmacreations@yahoo.com. I am using the PTU kit called Wanna Lick by AmyMarie. The tube I am using is by Arthur Crowe called Emotic Girl. I will be using C/P for Copy/Paste during this tutorial. Please use my tag as a reference to place the elements. To start off, open a 600 x 600 transparent canvas. C/P f2 & resize to 70%. C/P lolli1 & resize to 70%. C/P frame3 & resize to 40%. Close off f2 & lolli1 layers. C/P close up tube of choice into frame3. If you are using the Arthur Crowe tube that I am, C/P tube, using the Magic Wand tool, into the frame. Then re-open your f2 & lolli1 layers. C/P butterfly1 & resize to 40%. C/P dragonflyAM & resize to 50%. C/P divacupcake & divacupcake2 & resize to 30%. C/P emopup1 & resize to 40%. 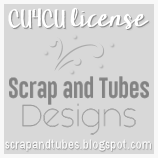 Add your Watermark & Artist Copyright info (done in Arial font). I would love to see your results, please email them to agelesskarmacreations@yahoo.com.